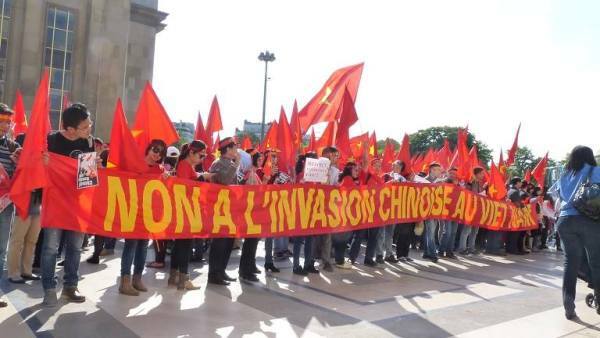 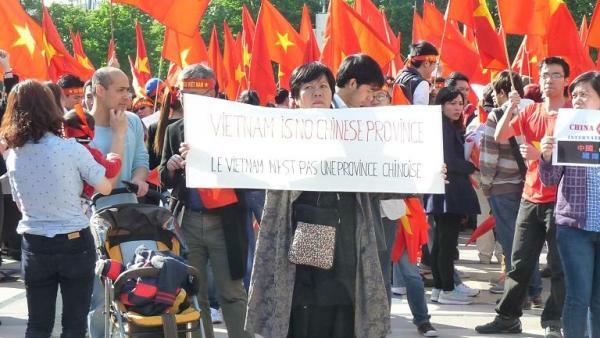 Nearly 2,000 Oversea Vietnamese and French people gathered in Trocadéro Square in Paris on May 16 evening to protest against China's illegal rig in Vietnam's water. 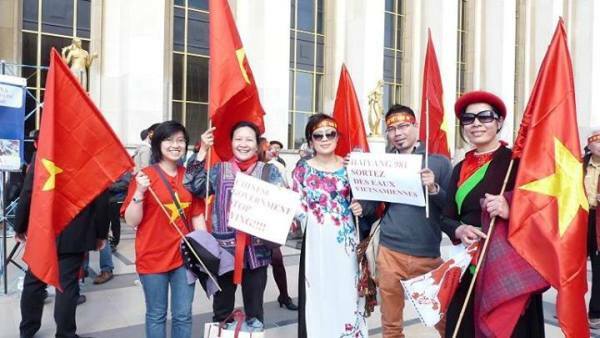 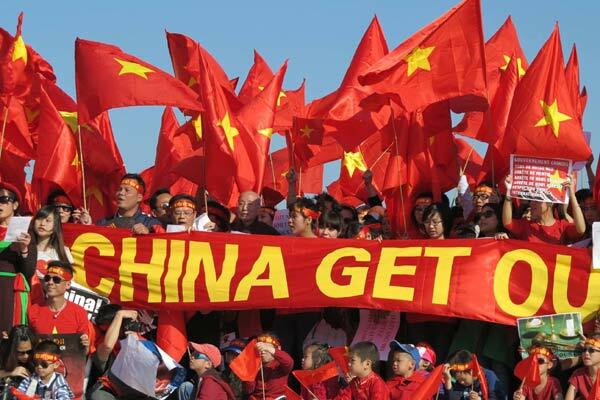 The protesters met from 5pm-7pm local time, holding banners and shouting in three languages including French, English and Vietnamese: "China, get out of Vietnam's sea! 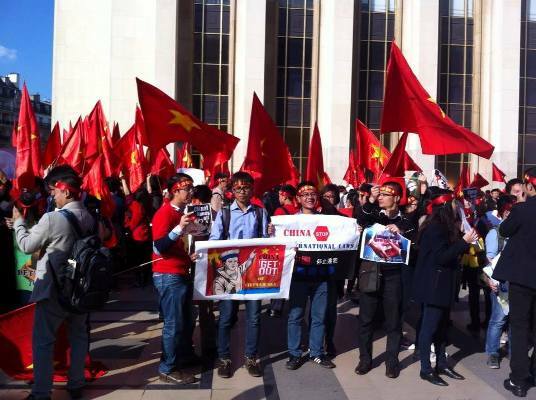 ", "China's rig violates Vietnam's sovereignty!" 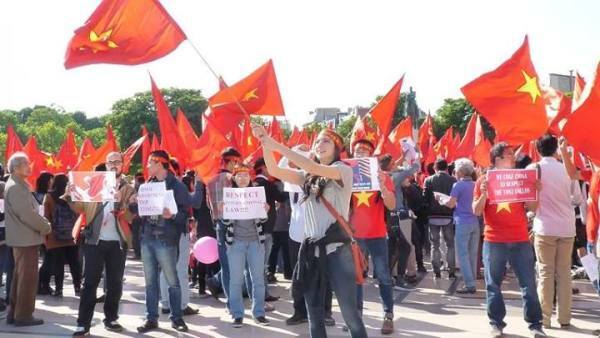 They also sang many Vietnamese songs to express their love for Vietnam.